This set contains 5 hooks of different sizes to make lovely coat racks or towel rails (1 large hook Ø 17 cm, 1 medium hook Ø 13 cm and 3 small hooks Ø 9 cm). Very decorative, they’re made of natural oak for a very Zen wood effect. 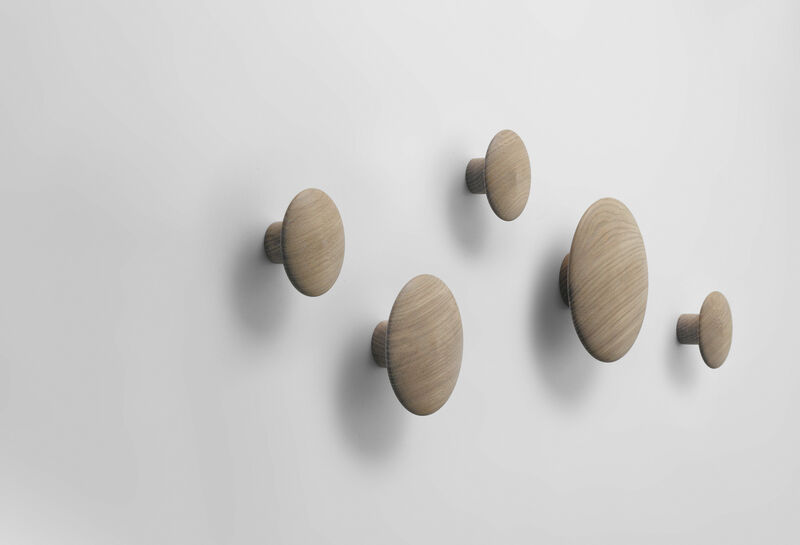 Arrange the 5 hooks according to your taste, being creative with the different sizes... Aligned or unstructured composition: anything is possible! 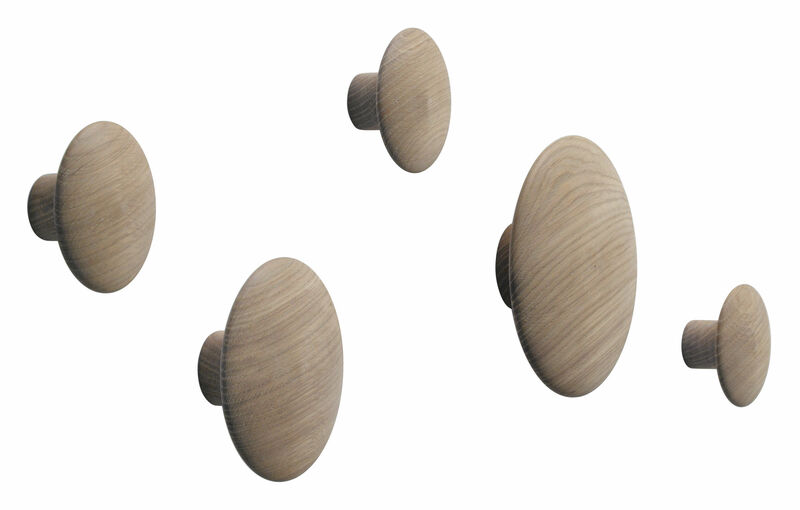 These hooks can be easily set up anywhere in the house, in an entrance area, a bathroom or even a bedroom.